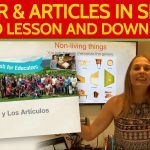 If learning and/or improving your Spanish this year is one of your goals, be sure to get these 4 tips to learn Spanish for free to help you accomplish your goals! Becoming fluent in Spanish is NOT an easy goal to attack! 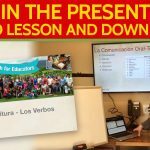 The first step is to recognize that learning Spanish is a BIG GOAL and it is possible! People says it takes about 7 years of consistent studying, using and sometimes being immersed into the language to gain full mastery. But don’t let that scare you, consider these 2 truths! 1. Big goals AREN’T the problem: as long as you can break them down and set mini attainable goals that lead up to the big goal. A great way to do this is having SMART Goals (see below). 2. Hard Doesn’t Matter: there are a lot of things in life that are hard, but because they are hard it does not means they are bad or a problem. If you want to achieve big things, set your intention to make it happen even when it gets challenging! 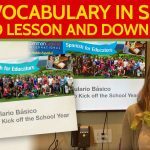 Set a timeframe to learn the selected vocabulary (February, for example) in order to get through the parent-teacher conference. By mid-February I will have learned the top ten vocabulary words to talk about positive and negative behaviors in Spanish. By the end of February I will have also learned the top ten verb conjugations in the present tense related to academic strengths. 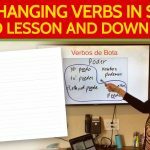 Set an amount of verbs or vocabulary you are willing to learn in a specific amount of time. You can increase, decrease or maintain this amount as long as it reflects an achievable commitment. I’m going to learn 2 verbs and 2 vocabulary words each week so that by February I will know the 10 most used vocabulary words and verbs I need to get through a parent / teacher conference. 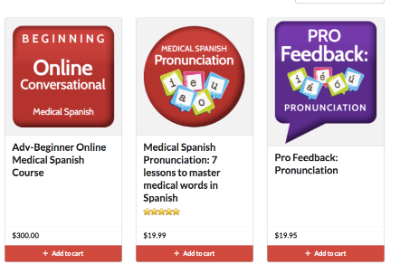 “Learning Spanish” is not a very realistic goal but “Learning Spanish to get through parent-teacher conferences focusing on the top ten vocabulary words and the top ten verbs that I need to accurately describe my students strengths and weaknesses” is a very realistic AND relevant goal. Chunk out your goal into weekly or daily goals so that you can accomplish it by a certain date. For example: I will master 2 or 3 verbs and vocabulary words per week, not just learning them in my head but start using them in conversation in the classroom or with other colleagues. This week, I’m going to master the verbs “estudiar” and “practicar” and the words “destrezas” and “comportamiento”. 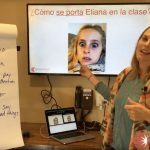 Answer this question: What are your needs for learning Spanish? Spend time identifying the context areas that are urgent for you to learn Spanish. Start with the urgent and once you accomplish those, move on to the important areas. 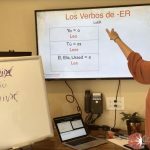 Wherever there is a need for you to learn Spanish, you are going to be able to learn it much quicker because you have that pressure to learn Spanish. 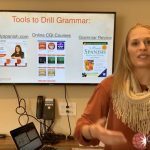 Identify your specific contexts in which you NEED to use Spanish! General, big areas will kill the motivation. How to communicate with parents during P/T conferences, classroom rules, making phone calls home, etc. 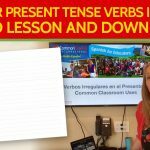 Make flashcards: one side in Spanish, the other side in English and start memorizing words and making connections between languages. 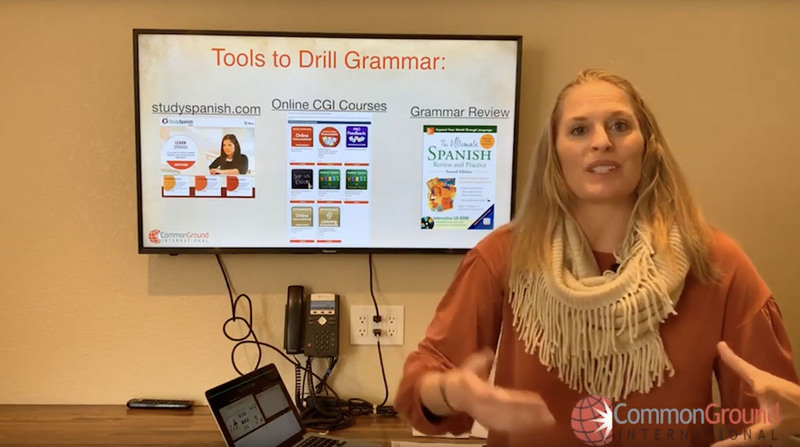 Learn useful grammar for the contexts that you identified in strategy #1: What are the grammar areas that you need to know in order to get through the parent-teacher conferences? 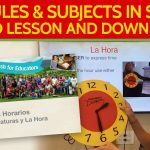 Dedicate 10 minutes a day to figuring out either how to read, listen, write or speak Spanish. Inevitably those 10 minutes will turn into 30 minutes a day. In fact, it’s more valuable on a learning perspective to dedicate 10 minutes a day instead of cramming a few hours, one day a week. 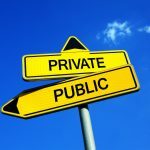 What you can do to consume Spanish? It’s easy to have head knowledge in a lot of areas (not just Spanish) but it’s harder to actually apply it. 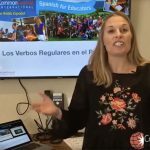 So the best thing you can do for your Spanish language acquisition is to find a conversational partner to move it from head knowledge to a conversational skill. If you’re worried about making mistakes when you speak, don’t! 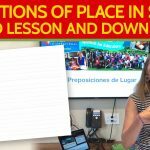 Get perfection out of your mind and focus on COMMUNICATION, your Spanish speaking students and their families will appreciate your effort! Memorize Relevant Vocabulary: Where there is the need, it is easier to master that. Master Useful Grammar: Identify the grammar and start with that. Find a Conversational Partner: To practice you ability to talk in Spanish. And of course set you SMART Spanish goals today!